In order to stay competitive, farmers are constantly relying on complex machinery to get the job done. In Yanmar America Corporation v. Randy Nichols, a farmer purchased a new tractor that contained both a front loader and a brush hog attachment. This particular tractor did not feature a rollover protection structure (ROPS) in the design. Plaintiff and his brother were using the tractor to “brush hog” a parcel of land that featured a significant slope. Plaintiff did not inspect the hill on foot prior to taking the tractor up the hill. According to court records, plaintiff was driving the tractor in tall grass at walking speed when he turned around to check on the brush hog attachment. When plaintiff turned back around, he felt the front tire drop as if it was falling into a hole in the ground. It was actually a ledge or drop off on the edge of the hill that caused the tractor to roll over sideways. After rolling a complete 360 degrees, the tractor was back on its wheels, but plaintiff was thrown from the tractor during the roll. Plaintiff put his hands up to protect his head from the falling tractor, but he suffered significant personal injury. The tractor amputated his right arm, and his hip and leg were crushed. He also suffered additional less-serious injuries. Plaintiff testified that he had driven tractors and other heavy farm equipment for over 30 years, and that he had driven this particular tractor around 20 times. He was aware of the fact that it did not have ROPS, and he felt he was safe despite a lack of ROPS. Our Boston personal injury attorneys understand that a plaintiff’s specialized knowledge can have an impact on the outcome of ligation. At the time the tractor was manufactured in Japan, it was outfitted with a rotary tiller attachment instead of the brush hog. It was sold to an authorized dealer in Japan after being purposely built for use in the rice paddies of Japan. All of the warning labels affixed to the tractor were written in Japanese. This particular tractor was manufactured before the company had set up a production facility in the United States and was designed differently from tractors made at that time by the company for export to the United States. It was built to be slow and have high lugs that aided in the muddy environment of the rice paddies. According to court records, it was never intended to be sold in the U.S. market. At trial, experts testified that these Japanese design elements and the fact that the tractor lacked a ROPS contributed to the accident. The company that sold plaintiff the tractor had purchased it from a company in Japan that assured the owner that it was suitable for farm use in the United States. At trial, the American subsidy of the Japanese tractor manufacturer moved for a motion excluding them from liability on the “grey market” tractor because they were not responsible for its import into the U.S. and had not intended this tractor to be used here. The trial court denied that motion. 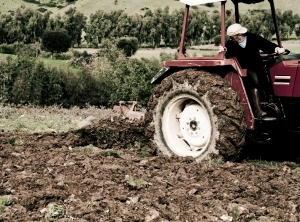 On appeal, the court of appeal reversed the trial court’s decision to grant the motion and felt that the liability may rest with the company who sold the tractor to plaintiff.